From the day it was introduced, the W900 reflected a dramatic departure in heavy-duty trucks. It brought the road to life for drivers and owners alike. Set the pace in long-haul performance, reliability, ease of maintenance, productivity and sheer luxury. Point A to Point B means never again having to choose between a vehicle that’s a pleasure to drive and one that’s profitable to operate. Proved as comfortable behind the wheel as it was on the bottom line. Since then, our job has been to carefully – and continually – refine the W900 without changing what made it great. 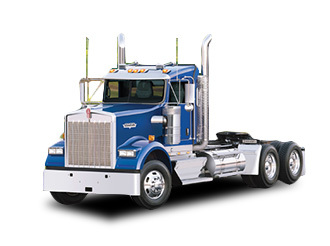 Today, few things in business exceed expectations quite like a Kenworth long-nosed conventional. Fewer still continue to excite and inspire successive generations of drivers. For many, a W900 is the ultimate goal. And no wonder. In a world of copycats, knockoffs and unrelenting parity, this is an original – a rare piece of individuality you can call your own. Kenworth W900. A high value – real world – solution. A high value – real world – solution.